New MSc student, Theo Nagel, is a shining example of lifelong development. 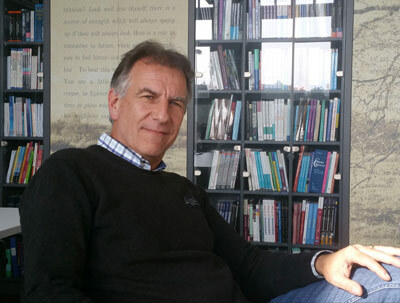 Nagel has worked for about 40 years in the tourism industry and for almost 10 years as a lecturer to MBA students at Saxion University of Applied Sciences in Deventer. This autumn he enrolled at Wittenborg as a part-time student for its MSc programme in International Tourism Management, although he continues to guest lecture at Saxion and other institutions. In addition he owns a company TDI Travel & Incentives and works as an independent consultant for companies in the travel trade. Why did you decide to do a master's degree? What is it like being a student after years of being a lecturer? What has been his impression so far after attending some lectures this week? What is his favourite travel destination?